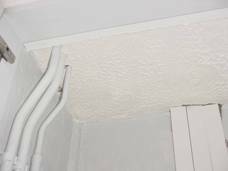 If you are buying a property and are worried about Asbestos or any other property issues such as subsidence or underpinning an Independent Building Surveyor can help you. We can give advice with regard to building surveys, structural surveys, engineers reports, independent valuations and specific defects reports. Please free phone 0800 298 5424 for a friendly chat with one of our surveyors. We like to meet our clients at the property during the survey and are more than happy to talk about the report and discuss any concerns you may have. 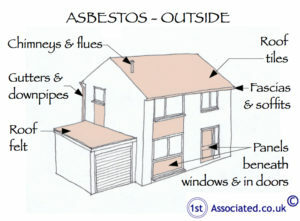 As a Building Surveyor if you mention Asbestos, everyone runs! There are only a few words in Surveying that tend to panic people or make them walk away from buying a house or a commercial property. 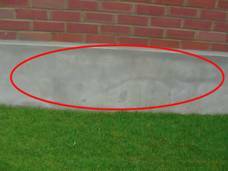 These are subsidence, heave (which is the opposite of subsidence) and interestingly people are also concerned by the term underpinning, which is putting foundations under a property. 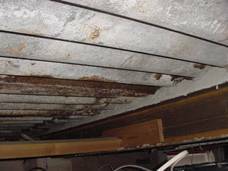 Other terms such as structural movement can also cause fear but when we mention there is Asbestos in a property then we get a variety of reactions. 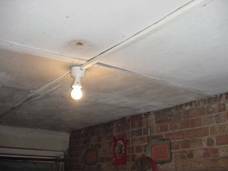 Unfortunately Asbestos was used almost as an alternative to every material problem as it was a cheap and economic solution. In fact Post War it was the wonder material and was literally used, as just mentioned, for solving all construction problems. 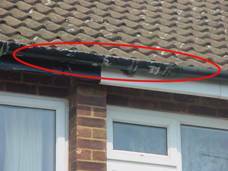 Asbestos has been used to replace roofing tiles, to replace timber used for fascias and soffits and for wall cladding and so replaced brick and stone. 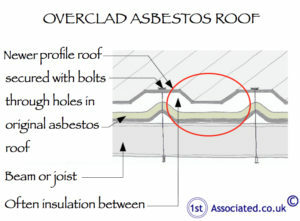 We have also literally seen what we term as an Asbestos house which was clad in Asbestos panels and was one of the non-traditional buildings built after the war and was an extremely economic way of building on a structural frame. Please be aware that non-traditional houses are very difficult to get a mortgage on. 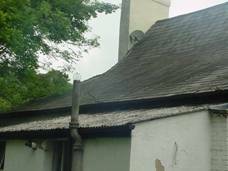 We have also seen houses that appear to be traditionally built yet have Asbestos hidden within them so beware of asbestos! 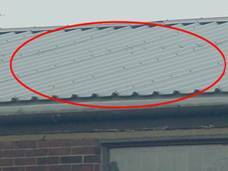 The question is, with an older property, not whether it does have Asbestos or not but if the asbestos is dangerous? 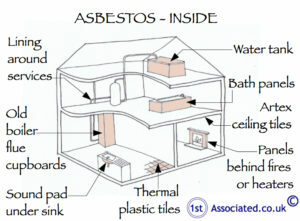 The only true way to find this out is to have an Asbestos survey. 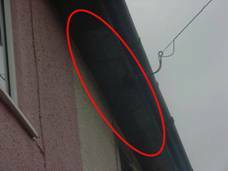 However a Surveyor, who regularly carries out Structural Surveys or Building Surveys, we feel, will have a working knowledge of where Asbestos should be. They may even have been party to or even organised Asbestos sampling taking place. 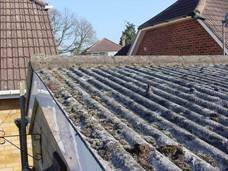 We have taken Asbestos samples on everything from roof tiles to thermal plastic floor tiles. 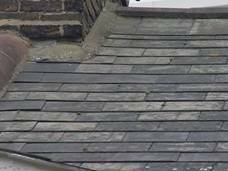 Slates, do they have an Asbestos content? This really is the million dollar question. 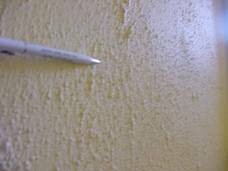 From as far as we can see and from obtaining quotes for removing Asbestos over the years it can vary considerably and seems to have no consistency. 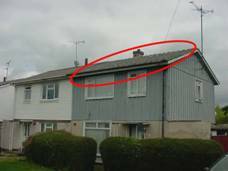 The most obvious place that we see Asbestos today time and time again is not in the house but in garages and outbuildings that have Asbestos covered roofs. As a rule of thumb we always generally recommend removal as soon as possible as we feel/fear that Asbestos regulations will become more rigorous as time progresses. 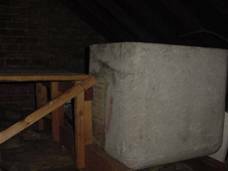 We are also aware that where a property has Asbestos it is often used to negotiate down a price way beyond the cost of actually removing the Asbestos or encapsulating it to make it safe in one way or another. I had a survey and it said there is Asbestos in the house. What would you do? The first thing we would do is speak to the Surveyor and ideally meet them at the property if you haven't already. 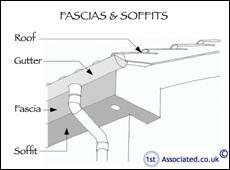 We always recommend meeting your Surveyor at the property as it's so important to understand his view on the building. The only way to do this is to walk round with the Surveyor whilst they are carrying out the survey and at the very least ask them questions. If you miss this opportunity then we suggest that you meet up with the Surveyor for a cup of tea or coffee and a chat. If you are in this situation and still want to buy the property then you need to have another survey carried out as soon as possible and you need to be at the property when the survey is being carried out. 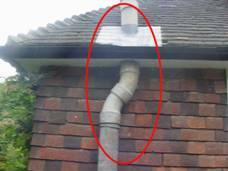 Caveat Emptor - Why should you have a Building Survey? 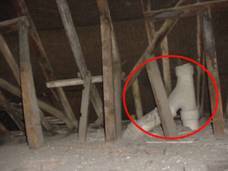 Caveat emptor means buyer beware and is why you need to have a building survey to find out if there are any problems within the property as things like the presence of Asbestos will be identified. If you truly do want an independent expert opinion from a Building Surveyor with regard to structural surveys, building surveys, structural reports, engineers reports, specific defects report, dilapidations or any property problems such as Asbestos please contact 0800 298 5424 and we will call you back. If you are in the process of buying a new home we would like to tell you about what we call our good, bad and ugly survey. 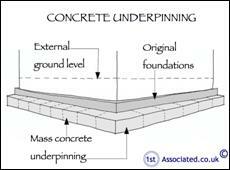 This is a Building Survey also sometimes known as a structural survey. We have developed this over many years, in fact several decades. We have listened to feedback from our clients and amended and altered our surveys to make them easy to read and describe issues clearly. The key factor we believe is our Independent Surveys are easy to understand and written in plain English. If you would like to see some examples of our building surveys we are more than happy to send you these via email. 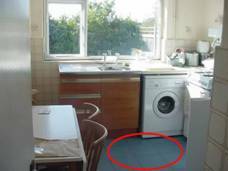 The surveys contain photos, sketches and definitions that help to explain the specific problems that we find within the property. Have a look around our website to see the quality of our articles, for example this one, and look at the quality of our surveys (we are more than happy to send you an example). We pride ourselves on our professional standard and easy to read reports which we have been carrying out for many years on every age, type and style of property across the UK .